We are living through a horror renaissance. Recent films like It and Hereditary have proven generation defining, while Netflix have seamlessly bridged the horror/drama genres with shows like The Haunting of Hill House. Horror directors are finding new and inventive ways to creep into the nightmares of their audience, knowing the cut and paste clichés of films gone by will no longer be enough for audiences. 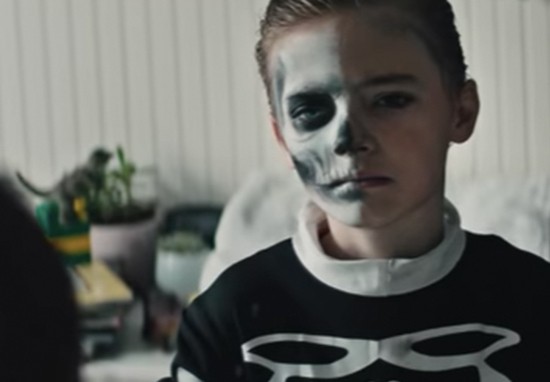 The Prodigy is now waiting in the shadows for a February 2019 release, hoping to bring a fresh take to the well-trodden creepy child genre. Director Nicholas McCarthy (The Pact) has now revealed how they actually had to re-edit one scene due to the terror exhibited by an audience at a preview. I’ll say this, the first time we previewed the movie, there’s a section where people screamed so loud we had to go back and re-edit the scene that followed it, because people were still recovering from what they had just seen, and they were missing the dialogue. The script itself was penned by writer and actor, Jeff Buhler, whose work will shape the shocks and scares of 2019. Buhler has also written the screenplay for Pet Sematary, in another eagerly anticipated reimagining of the novels of Stephen King, as well as Grudge, a reimagining of classic Japanese horror, Ju-on: The Grudge. It’s not by choice, but even if you cut out gore, there are often conceptual ideas or psychological ideas that are not appropriate for children in certain storytelling, and that tends for me to be the place in which I live. Saw this trailer ahead of the new Halloween. Never saw an entire theater jump they way they did at the final shot. It was a perfect reaction! Just watched it,made me jump out of my skin. Super looking forward to seeing this! this is a fantastic trailer, excited to see what you bring to the table @nmccarthydir! i love the pact! Meanwhile, people have been jumping out of their skin at a certain bit in the trailer where little Miles runs to his mother, only to transform into a fully grown man. Dude, this trailer..right before Halloween started..I screamed, “OH MY GOD! !” so loud everyone in the theater laughed. The Prodigy will hit US cinemas from February 8, 2019. The date for the UK release has not yet been revealed.